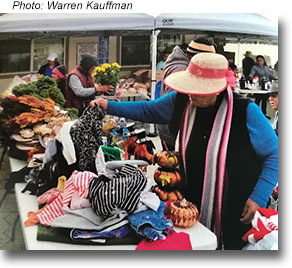 Nancy's Project is a charitable nonprofit organization founded by Nancy Costello to distribute food, clothing, and other necessities to farm labor families in Monterey County. 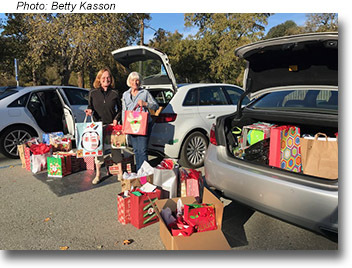 For 43 years Nancy collected food and donations for delivery to the Salinas Valley six days a week throughout the year, and every December she organized the collection of food, toys, warm clothing and other donations for special Christmas baskets delivered to over 1000 families. 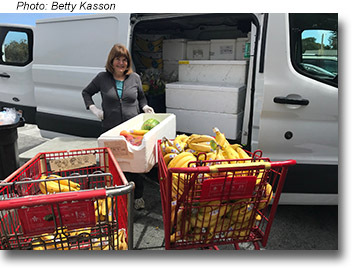 She continued collecting and delivering food, clothing and supplies until May, 2013, when failing health caused her to turn over her responsibilities to others in her organization. Nancy died on November 8, 2013, shortly after her 95th birthday. Nancy Costello's obituary, published in the Herald on November 12, 2013 tells about her life and accomplishments. The spirit of Nancy still guides Nancy's Project. About 70 volunteers are now carrying on the work that Nancy did, loading, driving and delivering donations to the farm labor families. 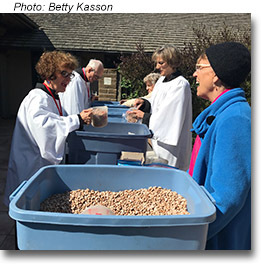 Learn more about Nancy Costello in the 2006 Carmel Magazine article Saint Nancy, written by Robin Littlefield, with photos by Kelli Uldall (pdf, opens in new window). Please include your mailing address so we can send you a receipt for tax purposes. 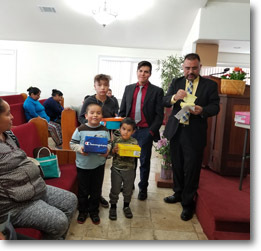 Cash contributions are used for delivery expenses, pinto beans and occasional other items needed year round and for the Christmas Season. 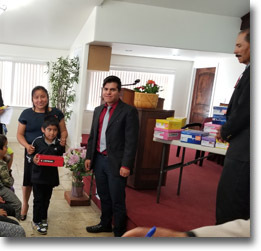 Salinas children get new shoes, thanks to our generous friends at the Naval Postgraduate School. 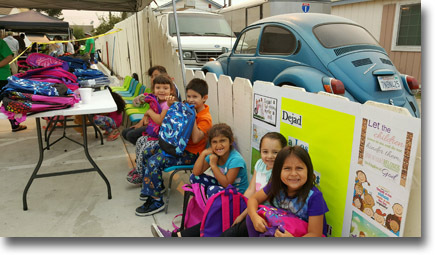 Thank you to everyone who donated backpacks filled with school supplies. When children are ready for school, they feel confident. New backpacks, school supplies — they're ready to greet the new school year with enthusiasm. Thank you for making this possible by providing filled backpacks for Nancy's Project! We hand out over 200 backpacks each year. So many children in the Salinas Valley meet the new school year ready to succeed! 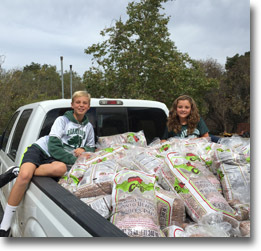 Bean bagging event at San Benancio Middle School. with financing from the National Charities League. Nancy's Project is a 501(c)(3) non-profit registered in California, EIN #20-4130066. Your contributions to Nancy's Project are tax-deductible.